A perfect place in Airlie Beach. Very freindly and helpful owners, stunning view on marina, nice little pool, located close to city centre but on a steep hill. Amazing! Thank you so much for your hospitality! Thanks for staying and your reviews. Hope we see you again. The resort has an amazing view and the staff were very friendly. They accepted to hold our luggages for three days while we were on the reef. On the day of return, they let us swim as a complimentary service on a hot summer afternoon. I will definitely recommend this resort and will return undoubtedly. Thanks for staying and happy we made your stay in the Whitsundays a good one. It was nice to meet you. Thanks again for your reviews. Très bonne exposition des chambres. Tout l'établissement est en très bon état et superbement entretenu. Fiona nous a très bien accueilli et même proposé de garder nos bagages durant trois jours après notre sejour. Elle nous a également conduit à la gare routière avec sa propre voiture. Merci Fiona pour ce superbe sejour. Lovely hotel, great location and good value for money. Very nice apartment for 1 night stay, great view from terrace to watch sunset! Very nice and helpfull host! Thanks Fiona! Friendly staff and what a beautiful view. Will definitely go back! We had a warm welcome from the hosts with good local recommendations. The space was very clean and had a nice little kitchen area. Beautiful view from the pool area and quiet at night and very quick to get to some nice restaurants down the hill. Wow ... Thank you Philip! 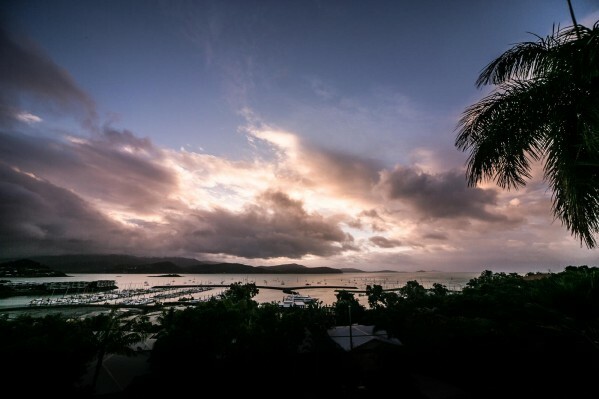 We are so happy you enjoyed your stay at Sunlit Waters in beautiful Airlie Beach!